Girls, have you tried any of the Eternity Malaysia's products? 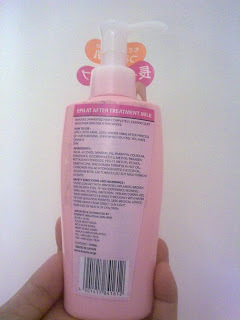 Well I would like to share my experience and feeling of using epilat Body Treatment Milk with you here. 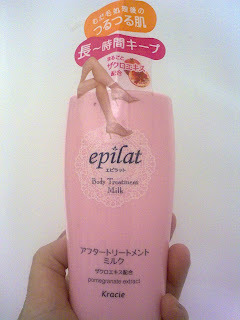 epliat Body Treatment Milk removes unwanted hair completely, leaving silky smoother skin for a few weeks. It contains pomegranate extract which really smell good and moisture my skin. How to use epilat Body Treatment Milk? Apply to arms, legs or under arms after process of hair removing. Or even when you feel that you have dry skin, you can use this milk to moisturise your skin too. huh.. Does this product remove hair or it's just a body lotion or it prevents hair from growing out? and did it work for you?